In Nevada back in 2015 SB175 was passed which changed the criteria by which the state determines what other state concealed carry permits it is going to honor. 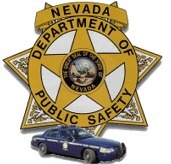 The latest changes were published to the Nevada Government website today and went into effect on July 1st 2016. This is an especially big win since the Florida and Utah non-resident permits are both very popular and easy to get. Nevada has ceased to honor the concealed carry permit from Delaware. If NV resident, CVW being renewed but not yet received, can a FL & UT non- resident CCW be ok until new NV received?